If you are looking for a used Hyundai Elantra in Peterborough, Ontario, Lindsay and surrounding area, the Peterborough Kia sales team will be able to satisfy your needs. Peterborough Kia always has a great selection of pre-owned Hyundai Elantra in stock and add to the vehicle inventory daily. At Peterborough Kia we proudly sell and service used Hyundai Elantra to customers from Peterborough, Ontario, Lindsay, Bancroft, Cobourg, Haliburton, Bowmanville, Belleville, Oshawa, Port Hope, Clarington and surrounding areas. 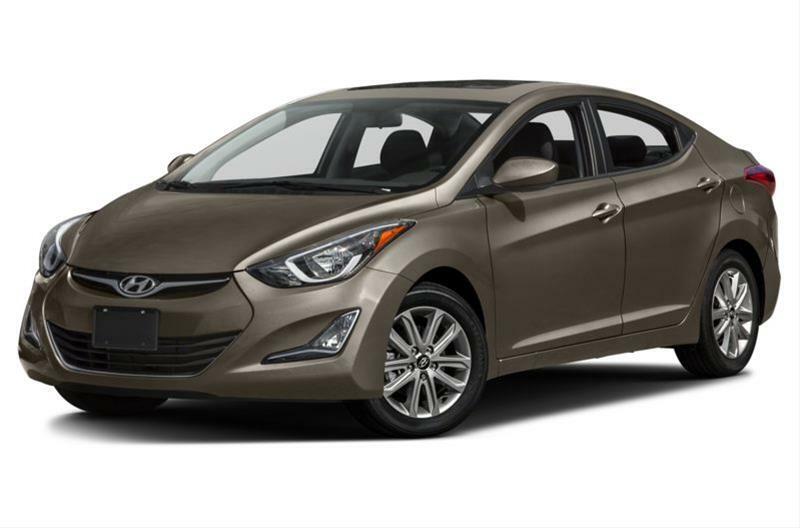 The Hyundai Elantra is a compact sedan with handsome styling and nice lines. It has excellent interior space with seating for five, an extensive list of standard safety equipment and class-topping cargo capacity. Two engine choices are available for the Elantra, either a 145-hp 1.8-liter four-cylinder, or a 173-hp 2.0-liter four-cylinder, while transmission choices include a six-speed manual transmission or a six-speed automatic with SHIFTRONIC. Standard safety features include four-wheel anti-lock disc brakes, electronic stability control with traction control and six airbags. Available features include a power sunroof, turn signal equipped exterior mirrors, 17-inch aluminum wheels, heated front and rear seats, leather seating surfaces, satellite radio, navigation, Bluetooth and more. For 2016, the Elantra carries over with minimal changes, but with the addition of the new Value Edition trim. Source: Chrome Data.